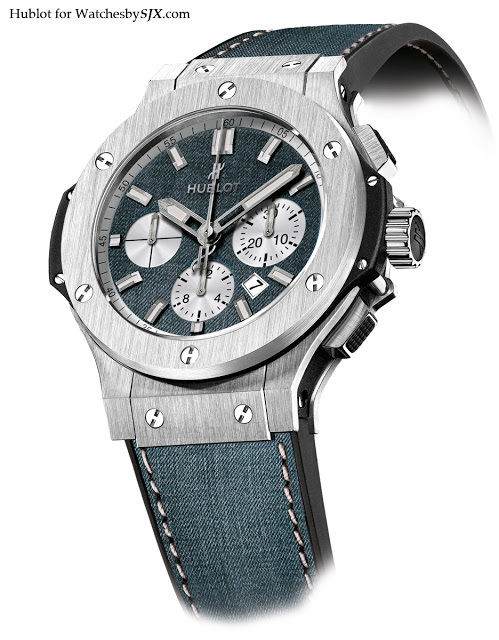 Hublot has just launched its line of Jeans watches in DSquared2 denim. Conceived by Tina Zegg of Monaco retailer Zegg & Cerlati, the Jeans line comprises three Big Bang Jeans models for ladies and the Oceanographic 4000 Jeans. 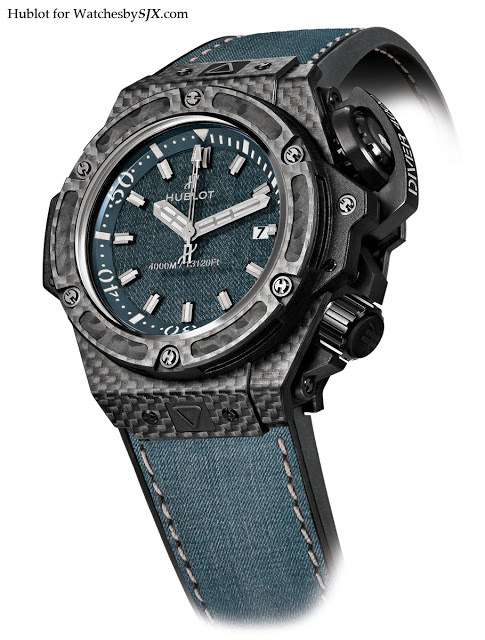 All of them have denim dials coated in epoxy and rubber straps covered in denim from DSquared2. This idea is not entirely original, some aftermarket strap makers specialising in Panerai style straps have been offering straps in leather resembling denim for several years now. 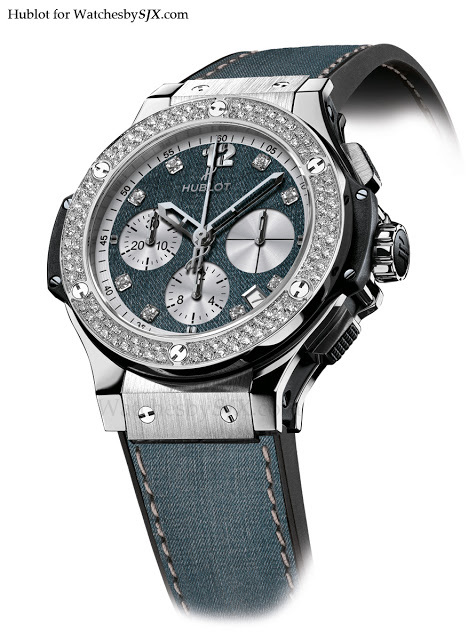 The Big Bang models are all 41 mm in diameter with steel cases with the option of diamonds. Each of the three models is limited to 250 pieces. They will only be available at Zegg & Cerlati until the end of summer 2013.